As we step into a brand new week, I pray that God will surround each and every one of us with his favor as a shield in Jesus name. I hope you said Amen. I did. 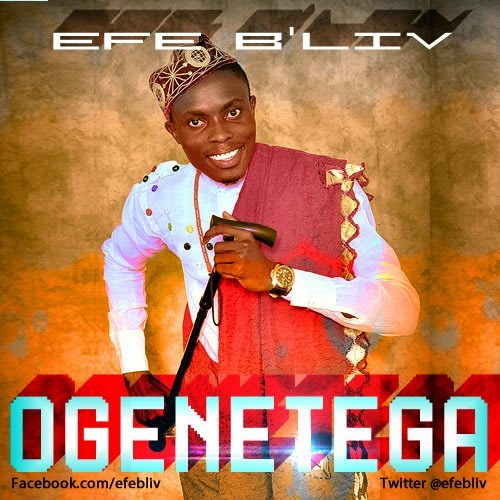 Efe B'liv is a gospel artiste from the Niger Delta, and he shared his single, Oghene Tega with me a while back. Efe B'Liv (Believe), a seasoned worship leader, is here with his debut single titled, OGHENE TEGA, meaning "God is Worthy to be Served." This song is set to get us praising and thanking God for all He has done as we relive His wonders in our lives. With its video dropping later this month, you will agree with me that this Niger Delta Gospel Minister will lead us into God's presence.